Clairol is both a professional and an over-the-counter coloring product that comes in permanent and demi- and semi-permanent concentrations. 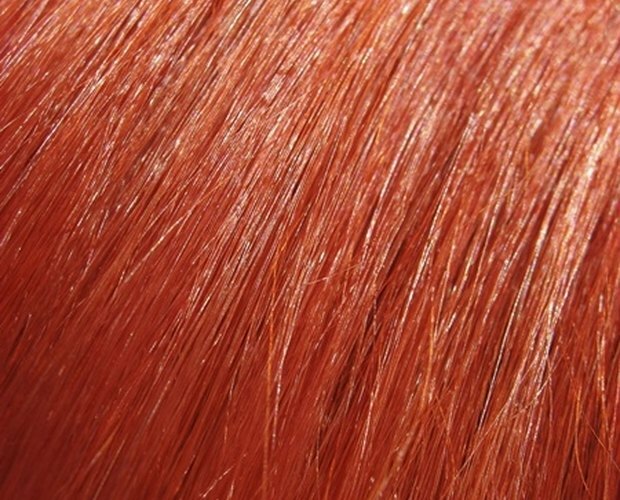 Demi-permanent color is deposit only (will not lighten), whereas semi-permanent may lighten up to one shade. 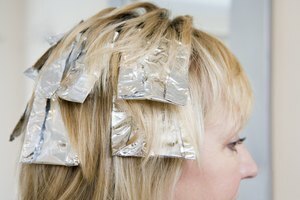 Permanent colors can lighten up to 4 levels or more depending on peroxide levels and factors such as heat and hair porosity. 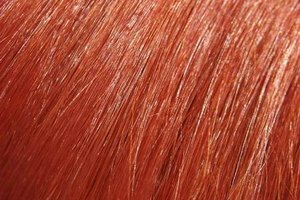 Find the right product for your hair coloring needs. Decide if you want a change that requires a bit of upkeep or if you just want something to give your hair a moderate color change or shimmer. If you want a natural color that will wash out in 28 shampoos, try the Clairol demi-permanent color line such as Natural Instincts (for men and women) or All That Shine. These colors are meant to enhance your natural color and provide a shine. They are less damaging than permanent Clairol color, but will not lighten the hair because they contain low levels of peroxide. Clairol Herbal Essences, Perfect 10, Balsam, Hydrience and Nice and Easy are permanent and need root touch-up in 6 to 8 weeks as new growth occurs. Professional Clairol colors can be purchased in beauty supply stores and mixed with developer to provide both permanent and semi-permanent hair color solutions. These should be mixed with a 20- to 40-volume developer for permanent results and a 10-volume developer or below for semi-permanent results. The higher volume the developer is, the lighter the level of hair color you can attain. A 10-volume developer will lighten one level, while a 20-volume developer will lighten 2 levels, and so on. Always perform a patch test prior to beginning a hair coloring procedure to determine if you have any allergies that might cause a reaction. Mix a small amount of color with developer and use a Q-tip to apply a dot about the size of a dime to the inside elbow crook. Allow the solution to sit for 20 minutes and then remove it with soap and water. Wait 24 hours to see if you have an allergic reaction. Slight irritation is normal, but breaking out or extreme itching or swelling is not. If you have an extreme allergic reaction, do not continue. Put gloves on before mixing hair color. Mix the color with the developer by adding 2 ounces of color to 2 ounces of developer in a color bottle or bowl. If using a bottle, put the cap on the bottle and twist tightly. Then with your finger covering the tip, shake lightly until the mixture is creamy. If mixing in a bowl, mix equal amounts of developer and color and use a color applicator brush to stir the mixture until it is thick and creamy. To apply Clairol hair color to the root, section the hair by parting down the middle from the forehead to the nape of the neck and combing hair straight down on both sides. Then part the hair from ear to ear until you have 4 sections. Use butterfly clips to secure each section. Starting at the nape, slice quarter inch sections by removing the butterfly clip and letting a section fall, then taking a horizontal parting. Go back and forth throughout the back of the hair from nape to crown, then go back around the hairline in the back sections. Hold color bottle in one hand and put a line of color on the top of each horizontal parting. Use the tip of your bottle or the index finger from your free hand to spread the solution on the root, being careful to avoid overlapping onto already tinted hair. If using a brush, apply the mixture to the root by brushing on the top of the horizontal parting from the root up to the existing hair color. Continue around to the sides, taking 1/4 inch horizontal partings as you go, then finish up by applying color around the hairline and over the ears. Be sure all roots are covered. Leave on the hair for the time recommended by the product packaging. To refresh end color, run through the ends for the last 5 to 10 minutes of recommended application time. To apply Clairol color to virgin hair, use the same sectioning procedure you do for root application and take the same horizontal partings beginning at the nape and working side to side. But instead of applying color at the root, paint color 1/2 inch away from the root all the way to the ends of the hair using a brush, or apply color with a bottle to the hair shaft and spread with fingers until the section is fully saturated. 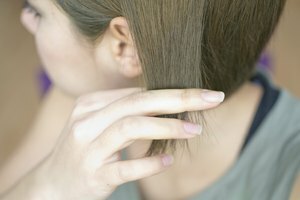 Because there is more heat closer to the scalp, it takes less time to process this area, so you should always apply to the ends first when doing virgin hair. Do this section by section until the whole head is covered. When the application is completed, apply color to the hairline around the face, over the ears and around the neck until the whole hairline is covered, then go back through the hair, starting at the first back section and following your initial application pattern and apply color to the root. Leave on for 20 to 25 minutes or according to package instructions. 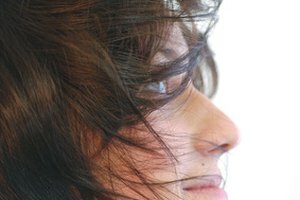 Follow the hair-coloring procedure with a shampoo and conditioner specifically formulated for colored hair. These shampoos and conditioners contain special polymers that will help ensure your color lasts as long as it should. Clairol has Shimmer Lights for blondes, brunettes and redheads to help you keep your color longer. Deep condition once per week and get regular trims to keep hair healthy and avoid fading. In addition, keep hair out of the sun and away from chlorine to maximize color retention.